… when these foggy views are free! Looks like we’re in for another rainy week in NYC – it’s ok though, just another chance to take some interesting shots. My favorite places to shoot in this type of rainy, foggy weather, have always been around the waterfront. 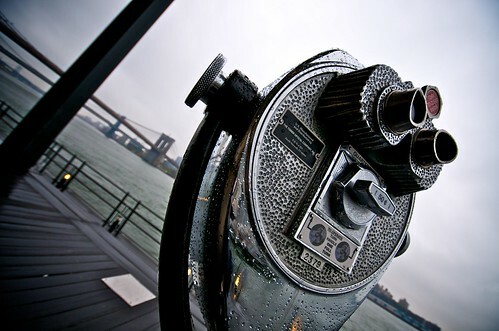 This one was taken at the South Street Seaport looking out at the brooklyn bridge. ~ by mrpatrickblog on October 5, 2010. Ich habe zufällig deine Seite entdeckt und finde deine Bilder sagenhaft. Genial.